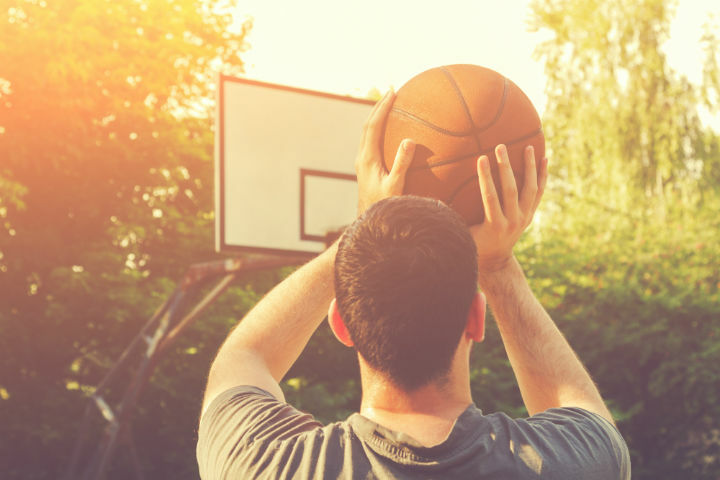 "The only program you need to transform any team of regular basketball players into knock-down, high-percentage outside shooters"
Do you get frustrated by the amount of missed shots by your team during games? Does your team constantly work on shooting during practice, but never seem to make any noticeable progress? And to make matters worse, the opposition teams seems to always make most of their shots! This always bugged me. I hated that feeling. I simply didn’t have the resources and knowledge I needed to develop great shooters! I didn’t have well thought-out practice plans (I thought I did). I didn’t have individual workouts to give to my players (I didn’t know I needed to). I didn’t know how to teach players how to shoot properly (I thought I knew that, too). Developing great shooters is the single most powerful thing you can do to improve your team, win more games, and to give your players the best opportunity for success in the future. Hi. My name is Coach Mac. I'm the founder of Basketball For Coaches and I’ve been passionate about basketball since I was 7 years old. Throughout this time, I've been fortunate to converse with many great shooting coaches and trainers and have also helped thousands of coaches improve their basketball teams. It is my mission to share with you all the knowledge I have gained on shooting and how to develop a basketball team full of great shooters. Not one single person on Earth was born with the ability to shoot a basketball at a high level. They became some of the greatest shooters to ever step foot on a basketball court through hours and hours and hours of smart shooting repetitions in the gym. Any basketball player who wants to become a great shooter one day must be willing to put in years of hard work to develop a great shot. There is no skill more important than the skill of shooting. If a team can’t put points on the scoreboard, it’s irrelevant how great they are at rebounding or how fancy their footwork might be. Learning how to shoot the basketball properly must start from day one. And it must be taught the correct way. With so many distractions surrounding young players (xbox, ps4, etc), players simply aren't getting up enough repetitions to be great shooters. Have you educated your players on how many shots it requires to become a great or an elite shooter? I first started tracking my own shots after reading a great article on shooting coach Dave Hopla (Dave regularly shoots 98+% while shooting). Dave tracks every single shot he takes. Yet for some odd reason, today's players and coaches aren't copying his methods and tracking their own shots. Doesn't it make sense to copy someone that shoots 98% (seriously) from the floor? 1. You cannot improve what you don't measure. 2. It makes every single shot important. 3. Players can set shooting goals. 4. Players will see improvements. 5. Players will find out their weak areas. Are you educating your players on the importance of tracking their shots and providing them with shooting workouts that allow them to do so? ​There’s nothing more frustrating than when players go to the gym to ‘get up shots’ without a plan. Contrary to what most players think, just being in the gym won't make anyone a better player. Players have to be working on the right things. Their weaknesses, the shots they take in games, free throws, shooting technique, etc. Without a plan, players will end up messing around and wasting time that could have been spent improving their game. Are you helping your players design individual workouts that will dramatically improve their ability? That's right... our fault. The coach's fault. It is the coach's responsibility to ensure that their players are shooting with good technique. 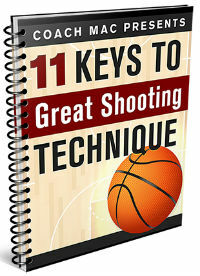 I once wrote an article that detailed the only two steps it takes to become a great shooter. The first step to becoming a great shooter is to master shooting technique. The coach must assist each player to do this. It's our most important role in assisting players to become great shooters. The second step is for players to take and make a lot of smart repetitions. By smart repetitions, I mean game shots, from game spots, at game speed. It's the players responsibility to make sure they make enough shots each week. … then the Shooting Superstars Program is perfect for you. This program will take your team from players that couldn’t hit an outside shot to save themselves, to a team of knock-down outside shooters! The Shooting Superstars Program covers everything you need to develop all of the players on your team into fantastic shooters. What does the Shooting Superstars Program include? It's imperative that you teach your players the correct way to shoot the basketball to set them up to be great shooters in the future. Too many coaches forget about this step and will jump immediately into shooting drills without first correcting and teaching correct technique. No coach ever does this intentionally, most simply fail to realize the importance of shooting technique, or they don't know how to teach it properly! The only two simple steps that are required to develop a great shooter. Is there really a specific spot on the rim players must focus on? ​Why you should never refer to a player's non-shooting hand as the 'guide' hand (and what to call it instead). Which fingers should be the last to release from the basketball. Do not skip this step. Always start with the basics. Yep, that's not a typo... 101 team shooting drills. Youth players are not like professional athletes. We can't expect them to use the same drill over and over again while continuing to have fun and improve. Players need variety to keep them engaged! And it will only take you 30 seconds to download them all! Never again will you struggle to find an exciting shooting drill that will develop your players. It can take a lot of time to put together practice plans for your team. • Which combination of drills should I use? 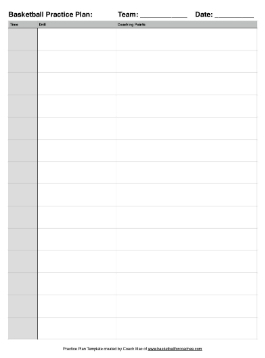 • What should be the duration of each drill? • Which drills should be at the start of practice and which drills should be towards the end? 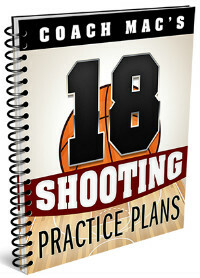 I’m going to save you the trouble of figuring all that out by providing you with 18 complete shooting practice plans that I’ve personally created. To make sure every coach is catered for, the practice plans are separated by duration and difficulty. Don’t worry, I encourage all coaches to customise the plans to suit their team. You can make all 18 workouts suit your practice requirements with a little customisation! All you need to do is pick one, print it off, and take it with you to practice! It goes without saying that your players cannot become great shootings in the couple of hours of team practice they participate in each week. To develop into a great shooter, players must be shooting in their own time as well. The problem with this, though, is that when we don’t give our players guidance as to how they should workout outside of team practice, they’ll usually end up at the gym chucking up casual three-pointers. While that may be fun for them, they could definitely use their time better to improve their game. It’s the coach’s responsibility to provide workouts to their players. 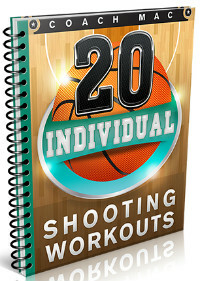 That’s why I’m providing you with 20 individual shooting workouts that you can print off and give to your players. +15 More Complete Individual Shooting Workouts! This will ensure that when they’re in the gym, they’re really improving! 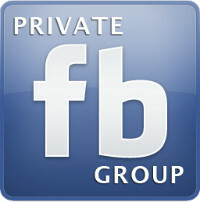 You’ll have access to a private FaceBook group where coaches from all over the world can share ideas on shooting and all other aspects of basketball. I'll be checking in every day to make sure any questions are answered, share my thoughts on shooting and coaching, and to give advice to anyone that needs it. We’ll have our own basketball coaching community! 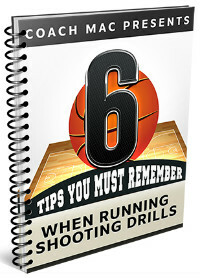 I'll also share a PDF with you that includes 6 tips you MUST implement if your team is going to improve their shooting. • Why it’s super important that all coaches are on the same page. • How to add pressure to every drill to keep the team working hard and competing. • The worst enemy of a youth basketball practice and how to avoid it. Would you like me to personally design practices specific to your team? I will personally create 3 unique practice plans for your team based on your team's strengths, weaknesses, and goals. I'll decide which drills you should use, how long you should spend on each drill, and what the most important coaching points for you to focus on are. And then I will personally create 3 unique shooting practice plans for your team that will skyrocket your results. 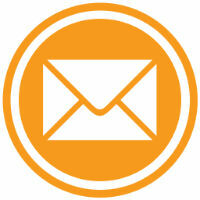 For 90 days after your purchase, you will have direct access to my personal email address (not many people have this). You will be able to email me at any time with any and all questions you might have related to either shooting the basketball or coaching basketball. Want me to review your practice plan and give you recommendations? Sure thing. Want me to help you work out which drills best suit your team? Of course. Want me to recommend the best individual workouts for players on your team? No problem. Having trouble with parents of a particular player on your team and want my advice about what to do in the situation? Hit me up! I've got you. Most coaches think that it’s only the shooting experts that can develop a team of high-percentage shooters. With the right resources and knowledge, you can do it too. Anyone can! Option #1: Keep doing what you’re doing (and stay frustrated that your team can’t shoot or win games). Options #2: Join the Shooting Superstars Program and I’ll give you all the resources that will help win more games by developing great shooters. Prove that you know how to develop a winning team. Set your players up for future success. Want to know how sure I am that this works? I'm so sure you'll love the Shooting Superstars Program that I'm offering a 30-day 100% money back guarantee. If for any reason you're not happy with the program, send me an email within 30 days and I'll promptly issue you a refund. What are other coaches saying about the Shooting Superstars Program? Coach Mac and his Shooting Superstars program is unique and perhaps, one of a kind. 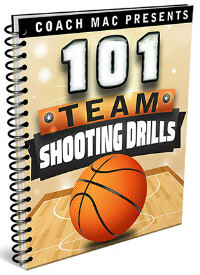 It is vast with 101 shooting drills, downloads on proper shooting technique and things to remember when conducting shooting practices to ensure maximum benefit. Perhaps, what I like best are the 20 individual shooting programs (divided by position and skill level) and the 18 practice shooting plans (it is so in depth, it includes warm ups etc). I coach a 6th grade boys team and after being exposed to Coach Mac and some of his drills the transformation was truly amazing. We ran Titan for 2 minutes and our goal starting out was 12 makes. After 6 weeks our goal was 25 makes and now, our goal is 30 with our high being 38. What Coach Mac has done it take out the guess work and allowed me to focus squarely on the implementation of the programs he has developed. And lastly, Coach Mac is responsive and helpful with questions I have had along the way. You will NOT be sorry for getting this program! 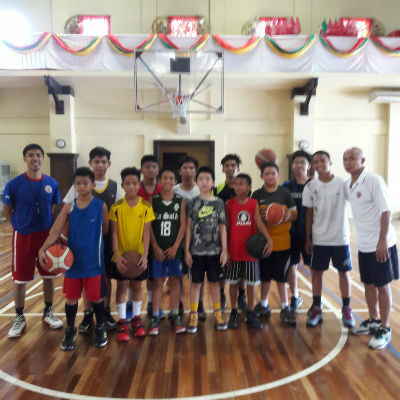 I am a skills training coach for the Filipino Basketball Academy and I am coaching kids ages 5-16 years old of different levels. 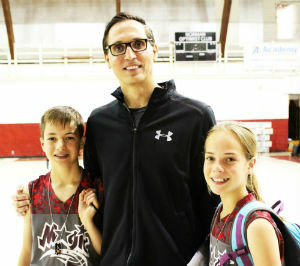 This summer, I have a few summer basketball camps to keep kids busy. Your shooting drills work well with me and my camps. I first emphasize on form then work more on accuracy later on. Repetitions make them stronger and faster. Integrating games and variations make the training sessions a little more interesting. I appreciate what you and your drills have done for me and my students. I plan to continue using these drills in all my camps. 1. "I'm only a volunteer coach... I'm not a professional coach or anything... Will this course still work benefit me?" There’s no fancy lingo that a coach will struggle to understand, there are many diagrams, and I’ve made sure that each drill is incredibly easy to understand and implement. I’ve created this course so that even a coach that knows nothing about basketball could go through this program and apply it to a team. 2. "What ages will this course work for?" This drills and workouts included in this course will benefit players of all ages and can be used by youth basketball teams all the way up to professional teams. They use regular shooting drills (like the drills in the eBook) but raise the number of made shots or the distance. So all shooting drills can be adapted to a team at any age and skill level. I include a ‘variation’ section in each drill which will show you exactly how to make the drill easier or harder to suit the team you’re currently coaching! 3. "But won't my players simply develop into better shooters with time?" But this program will assist you to dramatically 'speed up' their shooting skill progress. How much quicker will your players improve if they’re using specially designed individual shooting workouts as opposed to going to the gym and mucking around with friends? How much quicker will your players improve if you’re using a variety of shooting drills at practice that keep them engaged and having fun as opposed to being bored with the same drills week after week? How much quicker will your players improve if they start with a good shooting foundation using the 11-point shooting form checklist? Let me help you fast-track their success! This is not an overnight process and I don’t pretend like it will be. Becoming a great shooter takes time and a lot of repetitions. Any coach who thinks otherwise doesn’t understand how skills are improved. How quickly your shooters will improve depend on their current skill level, their age, how often they’re practicing, etc. This course will drastically speed up the process by ensuring that players are always working on their shooting efficiently while practicing alone, by starting with a solid shooting foundation, and by making sure the coach is utilizing great shooting drills during practices!